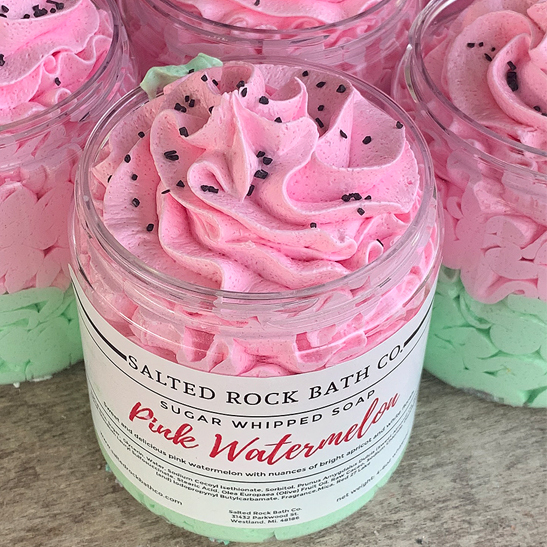 pink watermelon sugar whipped soap – Salted Rock Bath Co.
Sugar whipped soaps are a decadent treat for your skin. A cleanser, scrub, and moisturizer in one. They work up a rich, creamy lather, and leave skin soft, silky and polished. We recommend using with a bath sponge or pouf for the ultimate lather experience. 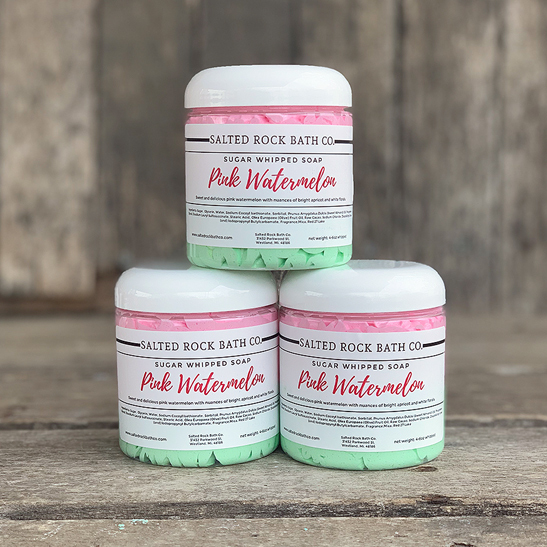 The scent: Sweet and delicious pink watermelon with nuances of bright apricot and white florals. Sweet Almond Oil: Rich in Vitamin E, this oil absorbs fully into skin making it a wonderful Moisturizer. It's thought to have anti-inflammation and anti-aging properties. Olive Oil: Thought to be good for skin cell regeneration. A wonderful moisturizer. Glycerine: Humectant that absorbs moisture from the air and will soften dry skin.